In a bit of a shocking twist in an entire career of shocking twists, Prince announced today that he has re-signed with Warner Brothers Records. The deal will give him ownership of his vast catalogue of music including super hit albums like 1999 (, ) Controversy () and Purple Rain (). Purple Rain will see a re-issue with the album getting a remaster and bonus tracks for it’s upcoming 30th anniversary in a similar fashion to Cyndi Lauper’s She’s So Unusual 30th Anniversary celebration. 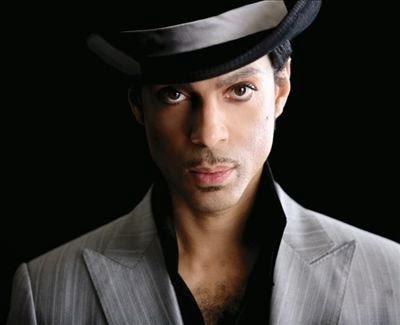 Prince states “A brand-new studio album is on the way and both Warner Brothers Records and Eye (sic) are quite pleased with the results of the negotiations and look forward to a fruitful working relationship“. In 1993, Prince famously changed his name to a symbol and wrote “Slave” on his face at live appearances to mark his disdain for his record label Warner Brothers. The issue was that Warner wanted him to release less music so they could better promote him, which angered The Artist Formally Known As Prince. In 2000, at the expiration of his contract, he changed his name back to Prince. The last Top 40 hit by Prince was a 1998 re-issue of ‘1999‘ which hit #40. Prior to that, “I Hate U” hit #12 in 1995. His last album, 2009’s Lotusflow3r / MPLSound hit #2 on the Billboard charts. Are YOU excited for a new Prince album? Pick up The Very Best of Prince (CD) on sale at Amazon today!